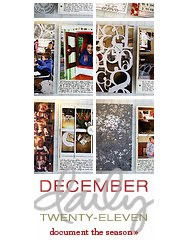 Today is the 5th of the month, which means it’s Reveal Day at My Creative Scrapbook. Yay! My fellow designers did beautiful work with the Main Kit and the add-on kits. 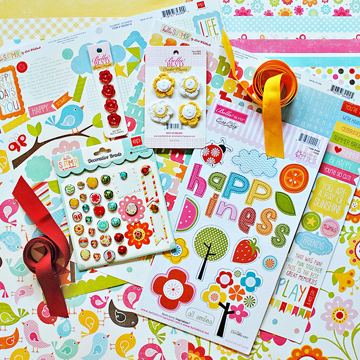 I worked with the July Creative Kit, which features the sunny happy Hello Summer collection from Echo Park Paper and adorable embellishments from Bella Blvd. 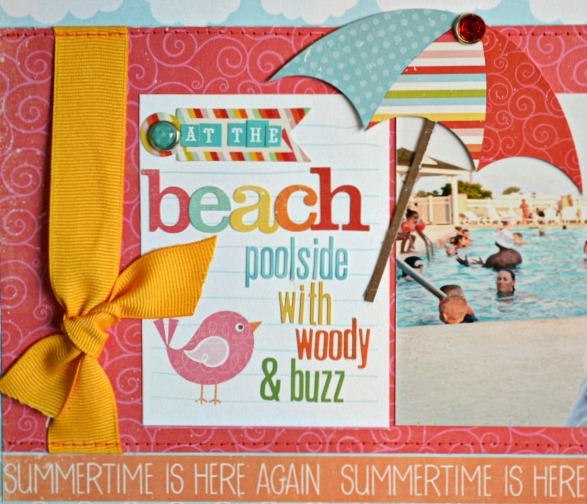 Today, I will show you the first of four layouts I made with the July Creative Kit. This layout features a photo I took of my toddler poolside at the beach last year with his Toy Story figurines. My son went through a stage when Woody and Buzz went everywhere with him, even swimming. The blue patterned paper here reminded me of pool tiles and made a nice backdrop against the pop of color in the other paper and embellishments. Here’s a close-up of the top of the page. The words “swim” and “relax” are from the Echo Park sticker sheet. I backed them with cardstock to give a bit of dimension then added toothpick flagpoles to make little pennants. 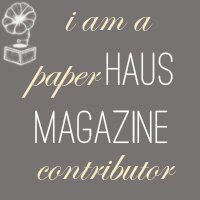 I love the color and texture that the ribbon added to the page. Today, I’m sad to say that Woody and Buzz have been cast aside (just like the movie!) and cars and trains are back in favor with my little boy. I’m so glad I captured this sweet moment with his figurines. Thanks so much for stopping by. 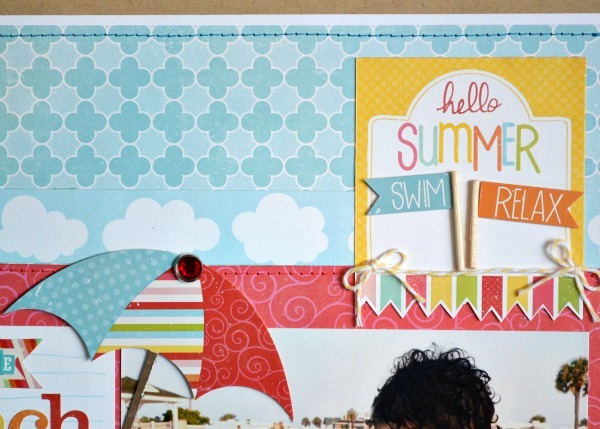 You can see all of the design team work with the July kits here in the My Creative Scrapbook DT gallery. It’s swoon-worthy, I tell you! 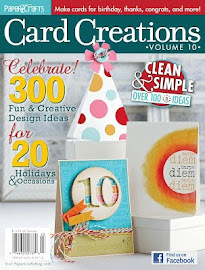 If you’re interested in a kit club or want more information, click here to go to the main page at My Creative Scrapbook. 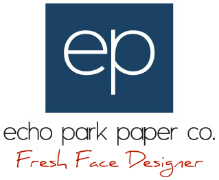 My Creative Scrapbook also has a giveaway for five new collection packs from Echo Park's sister company, Carta Bella, which was featured in the MCS July Main Kit. Five random draw winners will be announced on July 17. 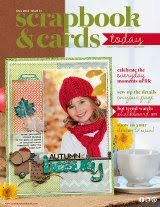 To enter the drawing, leave a comment at the My Creative Scrapbook blog here. oh your layout is so fun!! i love everything!! What bright, fun layouts. That is a nice collection! What a cute page! 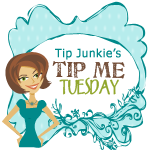 Lots of fun elements and I love the mix of brights! Oh this layout is so cute, love it! Awwwwwww poor Buzz and Woody! ;) I love love love your lo!! LOVING this line and loveeeeeeeeeeee that photo!! GORGEOUS! This page is so adorable...and I love your son's sweet expression playing with his toys. This photo definitely makes me nostalgic for those wonderful toys that were NOT electronic. sigh. Fantastic design, Izzy! These are so DARLING! LOVE them! I LOVE that layout! What a great kit- you totally rocked it.